Today, to mark Martin Luther King Day, I participated in the MLK Day of Action, Resistance, and Empowerment. It was a rally in which several thousand of us congregated outside of the Philadelphia School District headquarters and marched down Broad St. and Market St. to the park across the way from the building that houses the Liberty Bell. The march was a continuation of the protests stemming from the murders of Michael Brown and Eric Garner. But it was also more than that. The triple objective — according to the leaflet Sarah brought home last week — was to end the Philadelphia police department’s stop and frisk policy, to call for better union laws and a city-wide $15/hour minimum wage, and to seek reform in a school district that is one of the worst performing, worst funded in the country. I like most pickles. Obviously. But if I had to compile a list of four or five favorites — of the sorts of pickles I couldn’t do without — kkakdugi kimchi, or kimchi made from big honking radishes, would definitely rank. I’ve talked about them here before. In this other post about pickled daikons, I believe I said that because my preparation owes so much to Lauryn Chun and to Maangchi’s fabulous Korean food blog, I probably wouldn’t be posting a version of it here. But that was then, and this is now. And in the meantime, I’ve changed my mind. I found myself in the produce aisle at the grocery yesterday, staring at some very pretty, very large daikon radishes. And I thought to myself: I want kkakdugi! And then I thought to myself: since I’m going to make it anyway, I might as well make enough to share. Wow. It’s 2015. Happy belated New Year, everybody. It seems — somewhat unintentionally — that I have taken a hiatus from making posts here. I must have needed a break I guess. Which is odd because I certainly didn’t take a break from cooking. The end of 2015 saw a flurry of cooking for Chanukkah — soul-food Chanukkah dinner for 22 — and then a flurry of soups — squash and chicken all around — and then yet another flurry for New Year’s Eve. But regardless: I’m back. And I’m ready to cook. And I’m ready to write. And though I don’t really — as a rule — make New Years resolutions, I’m back with a couple of New Years resolutions for the blog. What kind of Christmas cookies am I making this year? Lots of them. That’s what kind. Thirteen dozen cookies so far, and six dozen left to make. There aren’t any recipes here. 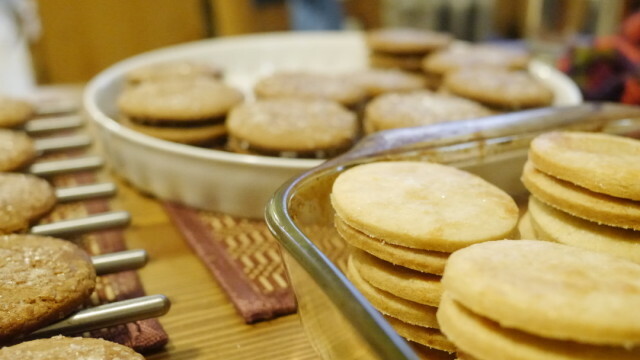 But this year’s baking bounty includes gingersnaps and orange cardamom shortbread. The gingersnaps are from Chez Panisse, via David Lebovitz, and are my most favorite gingersnaps in the world. And the orange-cardamom shortbread is homegrown, available here, and may be my very favorite winter cookies hands down. Bake and enjoy! I can’t send you all cookies, alas. But by making them yourselves, you all get the added bonus of rescenting your house with the not-too-saccharine smell of holiday cheer! Up until now, I’ve been silent here at Twice Cooked about the Michael Brown shooting, Eric Garner, and the two shameful grand jury decisions that have allowed their killings to go unexamined because the perpetrators wear blue and the victims are brown. In part, that silence is a practical matter: the same confluence of life stuff that has reduced my posting frequency about food has eradicated my ability to post about politics. And in part, that silence is because I don’t feel I have anything new to add to the conversation: police violence is well inside my sphere of horror, but far outside the sphere of issues to which I can claim any kind of knowledge, firsthand, scholarly, or otherwise. But this morning, I think that may have changed. I think that I can indeed add something useful. Last week, the United Nations Committee Against Torture released a report about abuse in the United States. It covers many of the usual suspects for this sort of report: Guantanamo, prisoners’ rights, and the death penalty. But there is also a section about police brutality that is specific and relevant here. Here in the United States, today is voting day. Today is the day that many states decide on new governors, some on new senators, and all of them on new representatives. Voting is the most important duty and the greatest privilege of citizenship in the United States. And the stakes this year cannot be overstated. 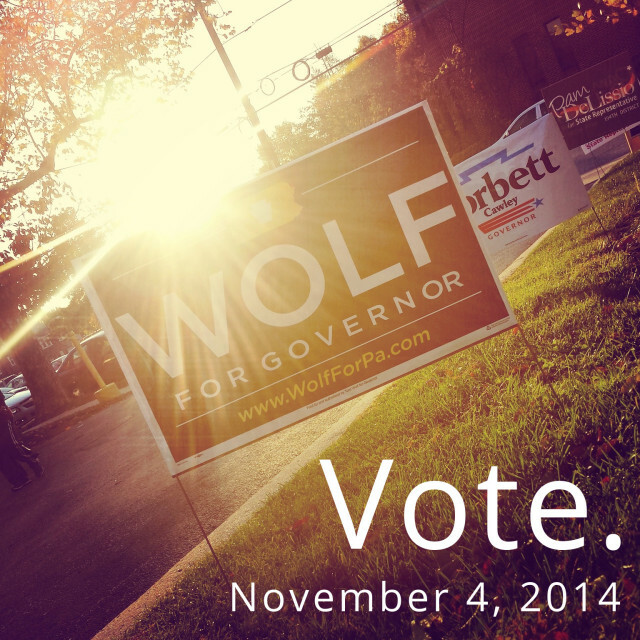 So if you have not yet gotten to the polls: go now! Kind of, sort of, you may consider this a follow-up to my previous post about the rhetoric and logic of why people ferment. Two of the folks who I’ve interviewed for this project — one a very old friend, and one a fairly recent one — both had some very interesting observations about why they make pickles, and why other people do too. To a certain degree, they engage with some of the reasons bloggers lay out for pickling — fermentation as tradition, environmental consciousness, health, etc. — but when I said before that those rhetorical moves are far from comprehensive — well — I think you’ll see what I mean. Just read. If you’re wondering where I’ve been (dear readers! ), the answer is otherwise occupied. The past two weeks have been overflowing with grading, and more grading, and a plethora of projects that spread their tendrils like a delicate blue-cheese penicillium into every crack and crevice of my free time. At least one of those projects is food related, however, and based on some research I’ve done for it, here is one observation. The thing about all of these moves is that while they have their place and while, in a limited way, they describe some of the reasons we ferment, they are not comprehensive. It turns out that folks practice lacto-fermentation for all kinds of reasons. And while health, morality, or tradition may play some role, practical concerns — like the question of what to do when your neighbor gives you a bale of kale — are at least as important. It seems only right that deliciousness and the thrifty thrill of a homemade salty snack often win the day over loftier ideals. There’s no particular judgment here. Like I said, I have engaged in many of these rhetorical moves, and I stand by the idea (for example) that lacto-fermentation is worth doing because it connects us to our common humanity. But I can’t eat common humanity, whereas I’ve got a great big inviting jar of pickled turnips waiting right over there.